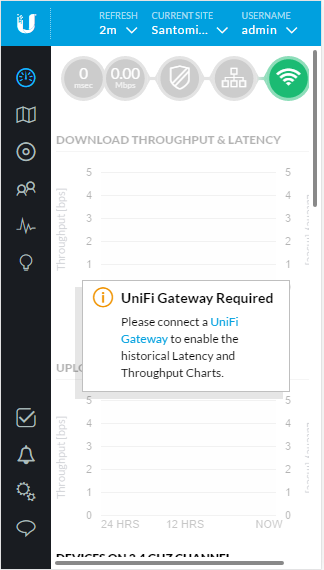 If you use Ubiquiti’s UniFi line of products, they recently released version 5 of their UniFi management software (current version at time of writing is 5.0.6). This new software adds in a slew of new features, You can get the full list here. 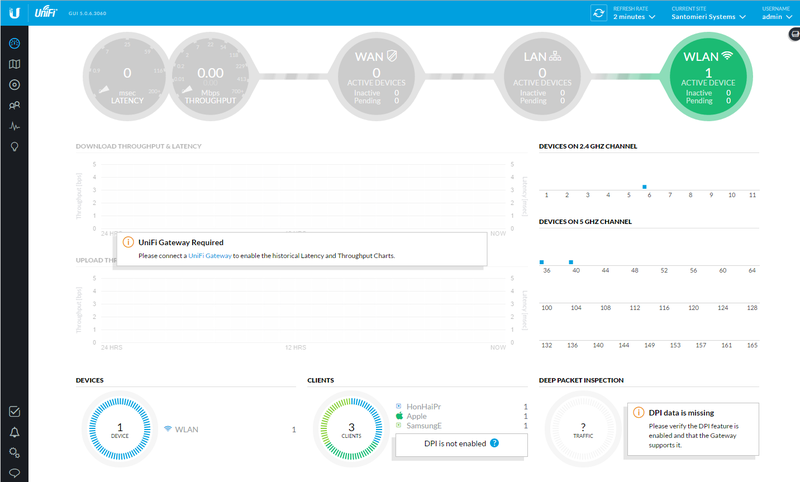 Some of the key items are an updated UI that is also “mobile friendly”, a new more advanced and better looking AngularJS based HotSpot portal and editor, and updated UniFi AP firmware. The UI is really the key update here for me, its a very new look and feel and what I feel is a little better of a layout. Most of the same information is still there, just in a little cleaner manner. Also, the site is a little more mobile friendly and that is definitely nice while using various devices with different screen sizes. There are still some horizontal scroll bars for screens under 1440px, but things “work”, and it’s more of an offset issue, than a total “not designed for mobile” type of an issue. 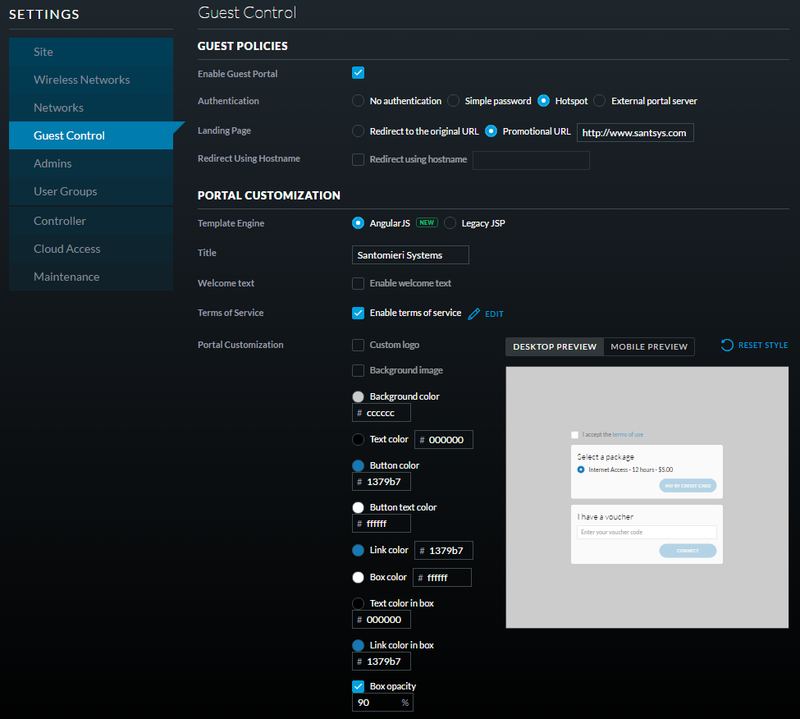 The hotspot configuration has been dramatically improved and offers a lot more configuration options and customization options, right from the UI. All stuff that should really have been there before, so it’s really nice to see it all in there. You can add things like a logo, custom welcome text, terms of service, background images, and edit various colors. It all works pretty smoothly. I did run into some save issues, where changes weren’t saving, but that seems to have just been a random hiccup, as it’s all working well now. Overall, I feel that the v5 update is worth the time, but as always, do a backup and test it out in your environment to make sure everything works. And definitely check out the forums for any major known issues that you might run into. Happy upgrading!